What’s Good: Impressively low interior noise levels; high-quality interior; outstanding driving dynamics. LOS ANGELES, CALIF.—If life hands you lemons, make lemonade. That old saw came to mind when I got a flat tire while completing the test drive of the 2019 Mazda3 on Sunset Boulevard in LA. We hit a massive pothole. 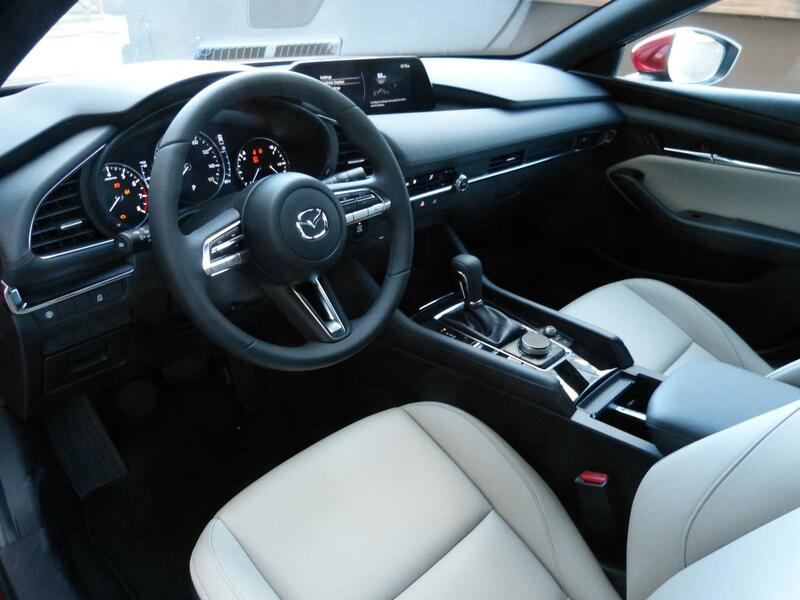 Dave Coleman, vehicle development engineer for Mazda North America, was riding shotgun and immediately knew the tire had gone, even before the Tire Pressure Monitoring system flashed its warning. We pulled onto a side street, and while we would hardly qualify as a Formula One pit crew, we did manage to get the Mickey Mouse compact spare tire on to the right front corner. So, there’s the lemons. Where’s the lemonade? Just that if this hadn’t happened, I wouldn’t have really noticed how quiet this car is. Because the temporary spare created quite a racket. 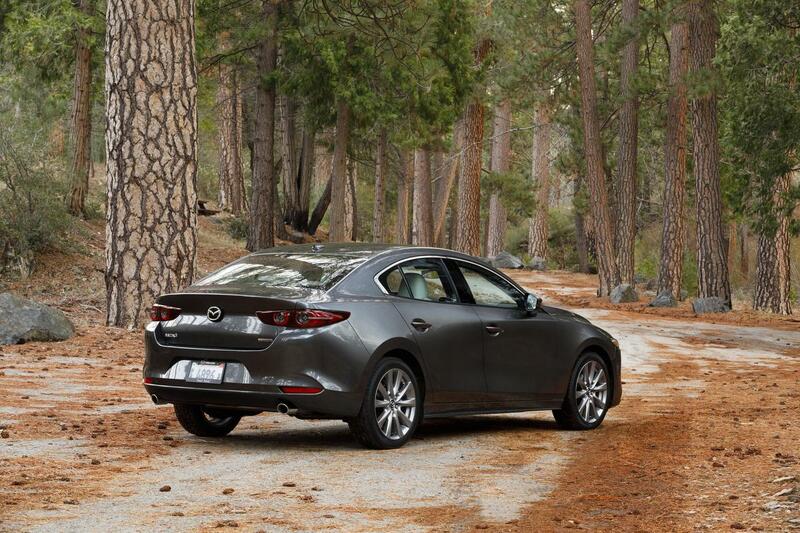 Now, tire noise is a seldom-thought-about but significant component of the ambient noise in a car, but one of the most impressive characteristics of the new Mazda3 is its silence. It might seem odd to launch a sub-compact in the U.S.A., whose car market generally doesn’t acknowledge the existence of this segment. But L.A. in January? You could do a lot worse. The car is available as a four-door hatchback or a four-door sedan. 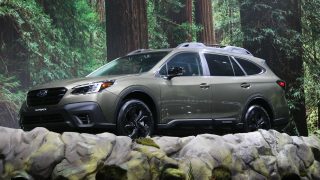 Prices start at $18,000 for the sedan and $21,300 for the hatch. What? $3,300 more, for two fewer doors? True. 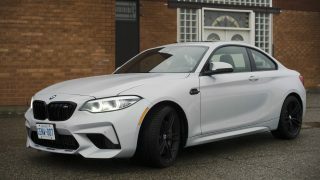 But most of that differential is because the base sedan appears to be a fleet car, and lacks things like AirCon, cruise, rear cross traffic alert and heated front seats, all of which are standard on the entry-level hatchback, You’ve got to go to the one-up trim level of the sedan to get these goodies. Precious little sheet metal is shared between the two body styles, and the two have quite distinct visual personalities. There is barely a straight line in the hatchback, with the shapes flowing smoothly from the grille to the rear roofline where the spoiler continuing aft of the roof is perhaps the only arguable aspect of the car. It’s a sporty-looking little thing, hence it being marketed as the Mazda3 Sport. Overall, it rewards multiple stares. The sedan at first appears somewhat more conventional, but again is clean and uncluttered. 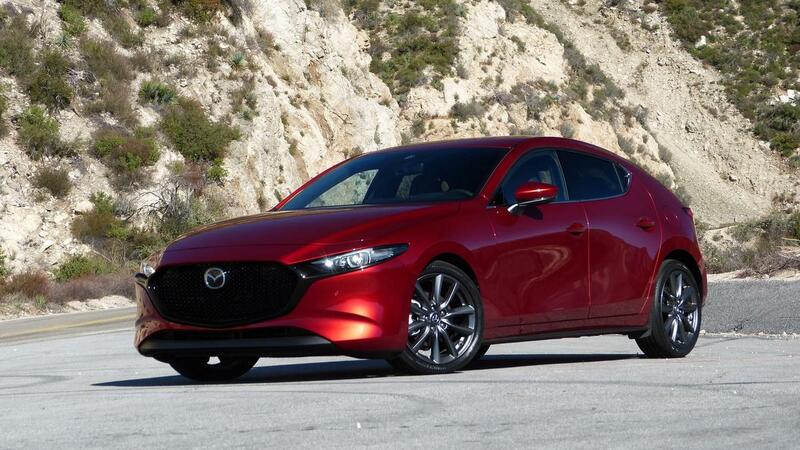 Like earlier Mazda3 sedans, it should age well. 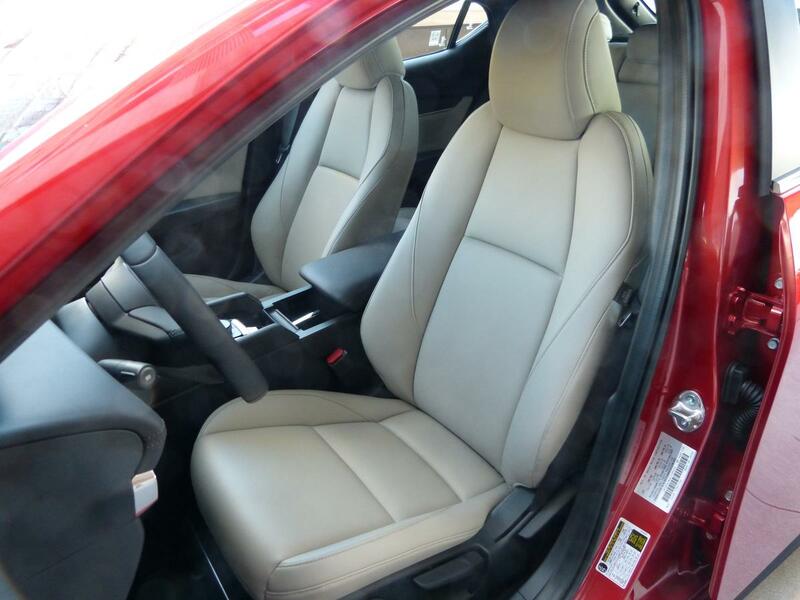 The interior has made serious gains from the outgoing model. Mazda is attempting to position itself maybe half a cut above the other players in the classes in which it competes — in this case, Corolla/Civic/Elantra/Forte/Sentra et al. To this end it has upped its interior design and execution game significantly. Thoughtful, uncluttered design; excellent ergonomics; high-quality materials, pleasing to the touch as well as to the eye. An 8.8-inch control screen is angled toward the driver, and is operated by a rotate-then-push knob in the centre console. As usual, it will take a bit of time for owners to get used to it all, but it will be easier to learn than most such systems. Apple CarPlay and Android Auto are both supported. 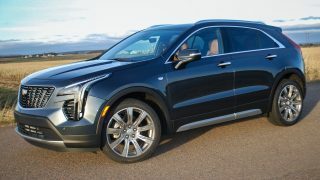 The seats are comfortable and supportive for the type of sporty driving the car encourages, and there’s plenty of room for a car of this overall size. At first glance, the adoption of a twist-beam semi-independent rear axle might seem a retrograde step compared to the fully independent set-up used previously. But Coleman, who by now had added “ride-along mechanic” to his resume, said that with fewer moving parts both to align and to wear out, the handling remains consistent as the car ages. 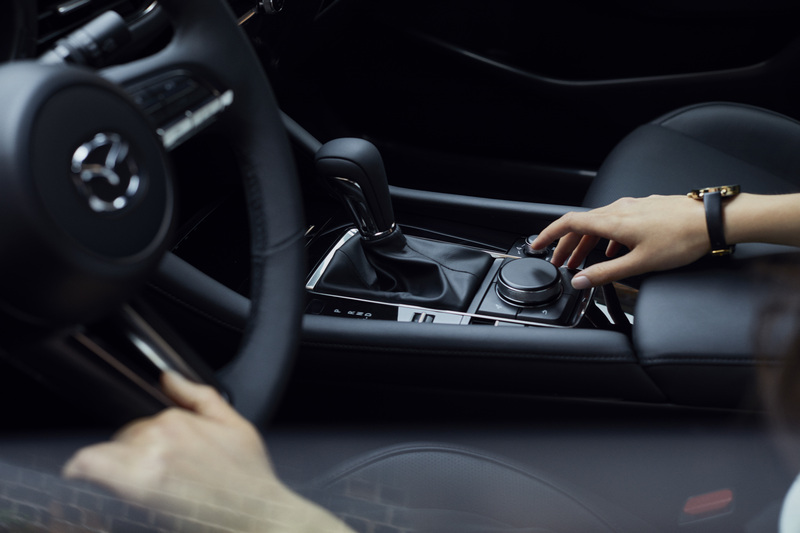 Mazda’s “G-Vectoring Plus” system detects if you are just entering a corner, and adjusts things like engine power and the distribution thereof to individual drive wheels, making these transitions less abrupt. Hence, the car’s handling is nothing short of brilliant. It does what all good-handling cars do — makes you feel like a better driver than you probably are. 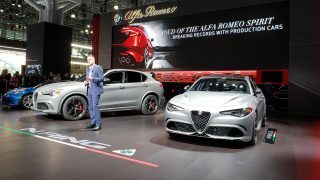 Because of the international audience for this event, some of the powertrains on offer will not be available in our market, at least not initially. Prime among these is the SKYACTIV-X engine which we have talked about previously. This combines spark and compression (a.k.a. 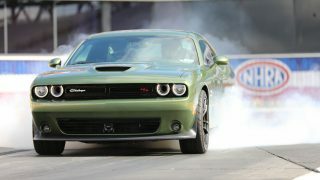 Diesel) ignition to provide gasoline engine-like performance with Diesel-like efficiency. It will be launched in markets which are tougher on emissions than ours, but we should get it in a year or two. 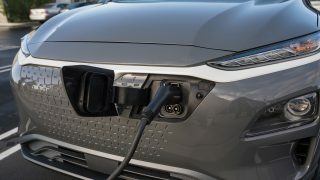 What price it will command remains to be seen, but that number will heavily influence its overall cost-of-ownership experience. Mazda3 will also get pure Diesel engines, but not in our market because our regulators aren’t smart enough to encourage this best-in-the-long-run technology. 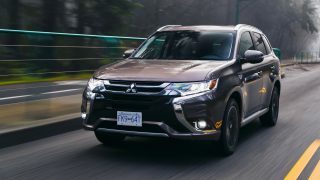 In Canada, GX models (and the GS sedan) use the 2.0 litre four cylinder, producing 155 horsepower at 6,000 r.p.m., and 150 lb.-ft. of torque at 4,000 r.p.m. All other trim levels have (or in the case of the GS sedan, offer…) the 2.5 litre four (186 hp and 196 lb-ft. of torque), also used in several other Mazdae (surely, the plural of “Mazda”?). Did I just say “on most front-drive models”? I did, because automatic part-time four-wheel drive (as usual, imprecisely denoted “all-wheel drive”) will be offered in the Mazda3 in the GX and GT trims (automatic transmission only), for a $1,700 hit. Most of the time, this functions as a front-drive system. 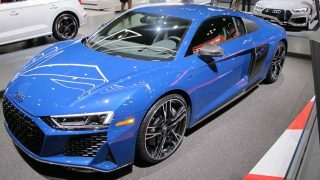 But it can transfer up to 50 percent of the drive torque rearwards as needed. It does this proactively, rather than reactively. For example, when launching from rest it will activate the four-wheel drive system automatically to ensure a smooth getaway. Should the car detect a situation where extra grip might be required, such as cold exterior temperature and the wipers are on, it will assume the road might be wet and slippery, and the four-wheel drive kicks in before the wheels start to spin. Clever stuff. We will have to take Mazda’s word for this, because our test routes were clear and dry, and the weather perfect. Besides, both my testers were front-drivers. Launch date for the four-wheel drive will be April, just as the snow will all be melting! I wanted a red car for photography, and it turned out to be a European-spec car with an engine we won’t get, also a 2.0 litre four but with a mild hybrid system which seemed primarily designed to facilitate the stop/start function. Interesting that this package is rated at only 122 PS (standing for Pferdestarke, European horsepower; their horses are a bit stronger than ours) and 156 lb.-ft. of torque, a tick higher than our 2.0 litre. My guess is that this engine is mainly a fuel-economy option. Shotgun Coleman warned me that on the steep hills of the Angeles Crest Highway, this engine might feel a bit weak. But the car handles so well you can carry way more speed through the corners than you might expect, and it didn’t feel under gunned at all. The slick-shifting six-speed manual gearbox with perfect clutch take-up was an ideal partner in the fun. At the car change point, we swapped it for a 2.5-litre sedan with the autobox, which surely will be the most popular choice back home. Heading mostly downhill, this car felt even quicker as you would expect. At one point we had a minor dice with a well-driven Honda S2000, and I think its driver was a bit surprised that we could stay with him for a while until we decided not to embarrass him any further. Back at the hotel, Mazda put on a demonstration of the sound system in the new Mazda3. This manufacturer has no reason to be coy, because the sound quality was terrific. Even this entry-level system offers a number of advanced features, including the ability to focus the sound on the driver if (s)he is alone, or to spread it around to other riders. Our host then cranked the volume way up, asked us to get out of the car, and shut the door. You could barely hear the sound inside the car, another demonstration of the impressive measures they have taken to make this car a silent runner. Would that all cars with massive sound systems were so well insulated. The Mazda3 is in one of the most competitive segments in the Canadian marketplace — I’ve already mentioned the main players. Mazda has typically punched above its weight back home, and the Kenzie fleets, both paternal and “offspring-al,” have seen several Mazdas over the years. I see a bright future for the newest member of the Mazda family. 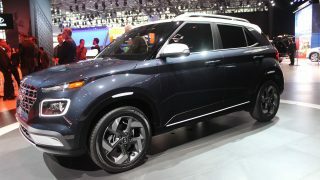 Body Style: 4 doors, 5 passengers, sub-compact sedan/hatchback. Front-wheel / automatic part-time four-wheel drive. Price: Sedan: GX — $18,000; GS — $22,700; GT — $26,200; Hatchback — GX — $21,300; GS — $24,000; GT — $28,400. Four-wheel drive, add $1,700 where available. Engine: Base, GX hatchback, GX and GS sedan — 2.0 litre inline 4 cylinder, double overhead camshafts, four valves per cylinder, direct injection; optional, GS sedan, standard, GS hatchback and all GT — 2.5 litre inline 4 cylinder, double overhead camshafts, four valves per cylinder, variable valve timing, direct injection. Transmission: Six-speed manual / six-speed automatic. Power/torque, horsepower / lb.-ft: 2.0 litre — 155 @ 6,000 r.p.m. / 150 @ 4,000 r.p.m. ; 2.5 litre — 186 @ 6,000 r.p.m. / 186 @ 4,000 r.p.m. Fuel consumption, Transport Canada city/highway, l/100 km: n/a. Competition: Honda Civic; Hyundai Accent, Kia Forte, Nissan Sentra, Toyota Corolla.